So... I haven't been posting much here on the blog lately, but it's been for a good reason! 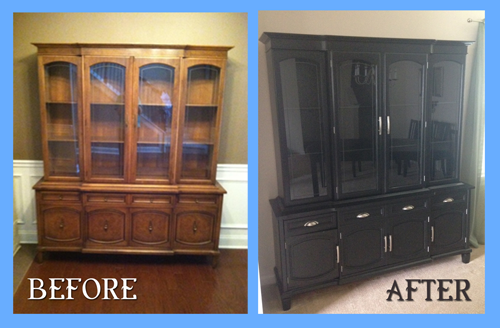 I've been spending lots of time over the past month working on a new addition... to our dining room! I am SO excited about this transformation! It was a LOT LOT LOT of work, but it was SO worth it!!! For those who may be interested in the details, here we go! 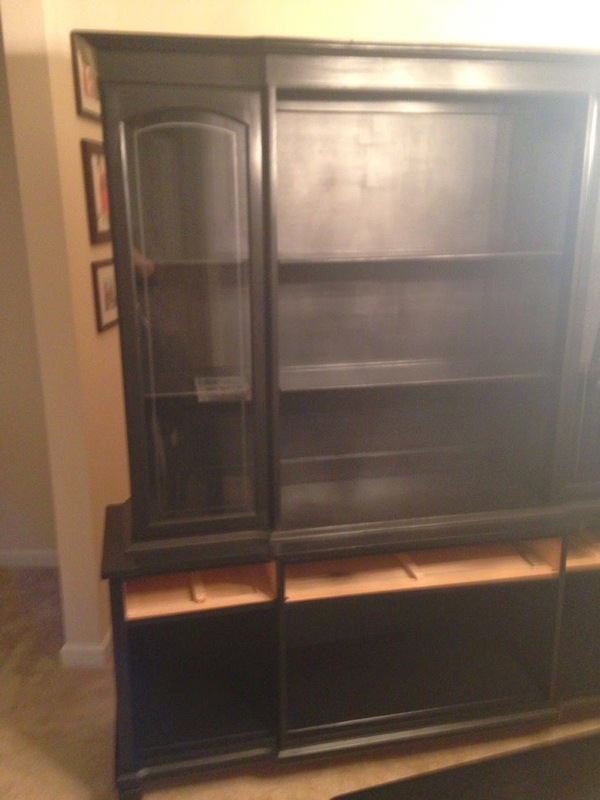 I found this amazing china cabinet back in January 2014 on a local Facebook buy/sell/trade group for $100 -- what a steal! I immediately contacted the seller and told her I was interested, and luckily, I was the first and it was mine! 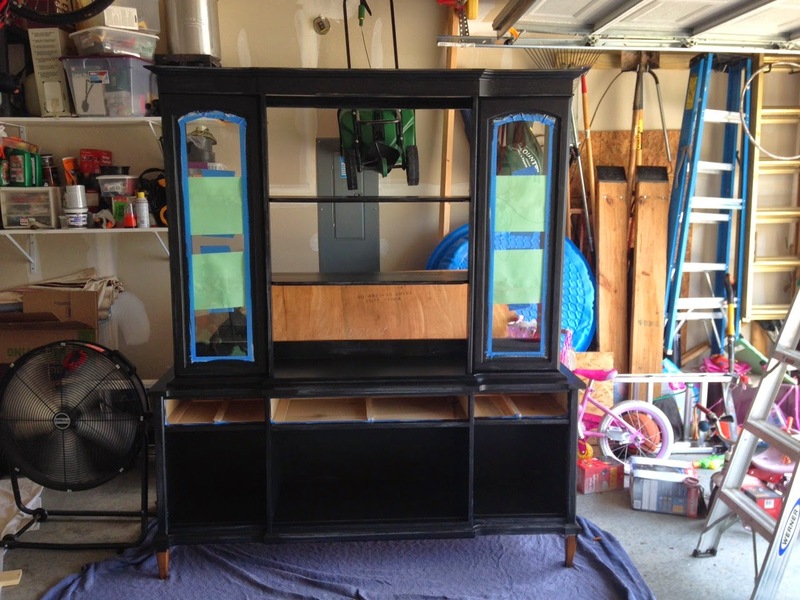 We made arrangements to pick it up from the seller, who turned out to be the nicest young woman ever, and before I knew it, hubs and I, with the help of our brother-in-law and a $50 U-Haul rental, acquired this beauty and settled it nicely in our garage. We had it smooshed up against the wall so we could still park both of our vehicles in there, and waited for the weather to warm up (oh, and Chase's heart surgery out of the way) so I could get started. Finally, on June 9th, I decided I was ready to tackle this beast. 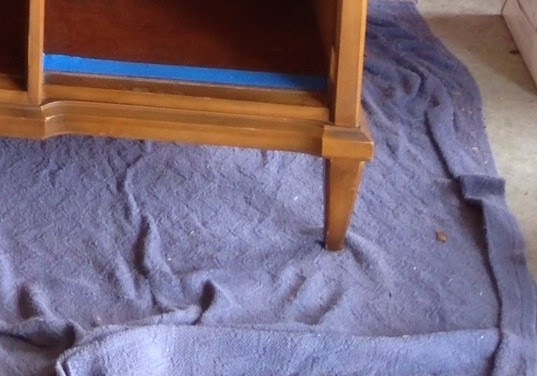 It would be my very FIRST attempt at transforming/refinishing furniture EVER, so I spent a lot of time researching how to go about it. 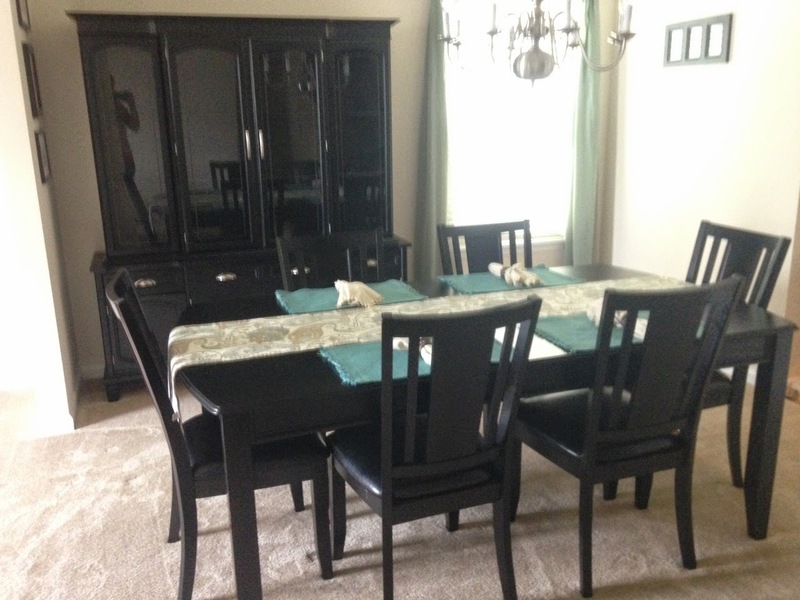 I had ultimately decided that I would just paint it (rather than strip and stain it) because I wasn't too concerned about keeping the wood grain look and figured it would still match our dining room table just fine with the paint instead of stain. So here we are ready to get started! 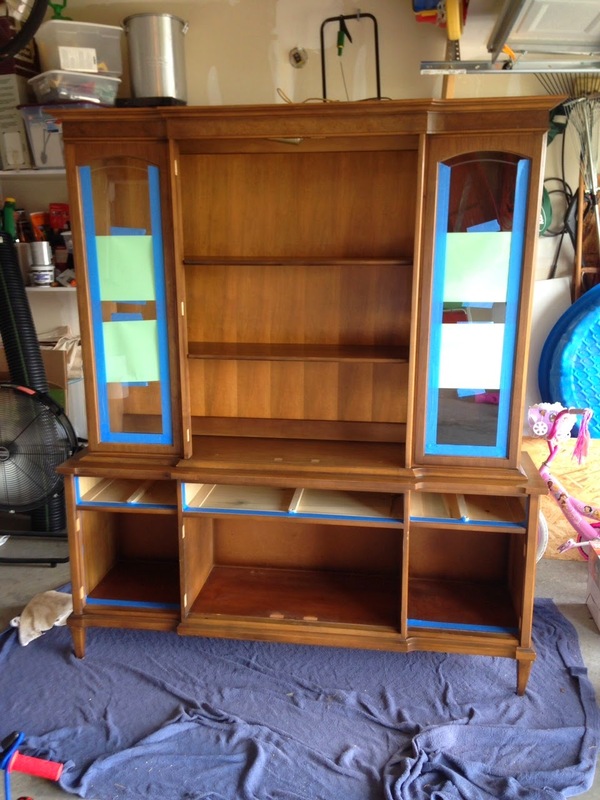 I removed the doors and drawers and prepared to tape everything off. After everything was taped, I decided to start by priming the doors. 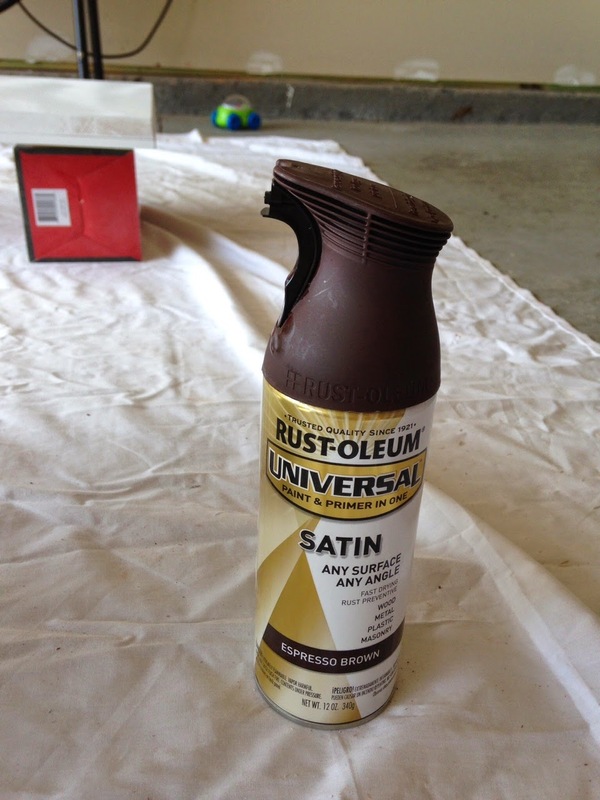 This was the spray primer I used on the doors. 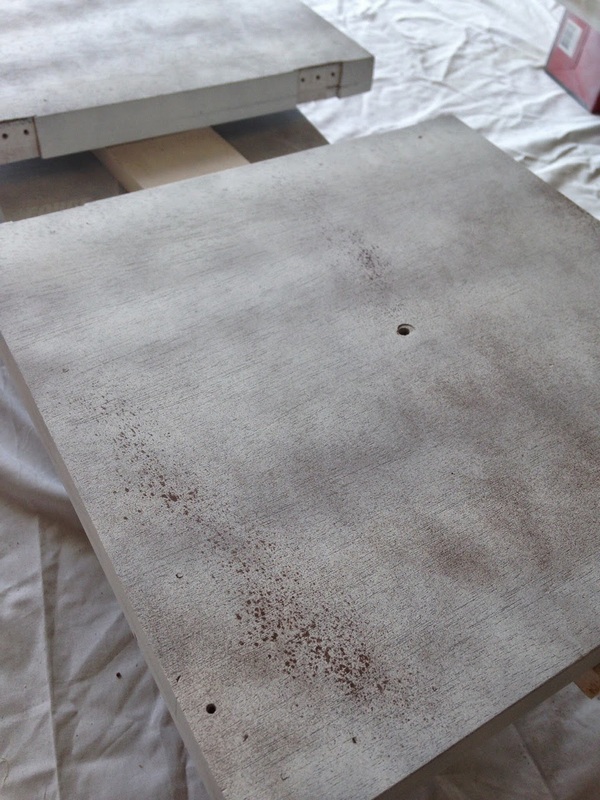 I was disappointed because it took two light coats over all of the surfaces and seemed like it took forever since I had to dry one side before moving on to the other side, then repeat, etc. I wasn't a fan. Here's how the doors looked after two coats. Kind of a pain and taking waaaaay more time that I expected. 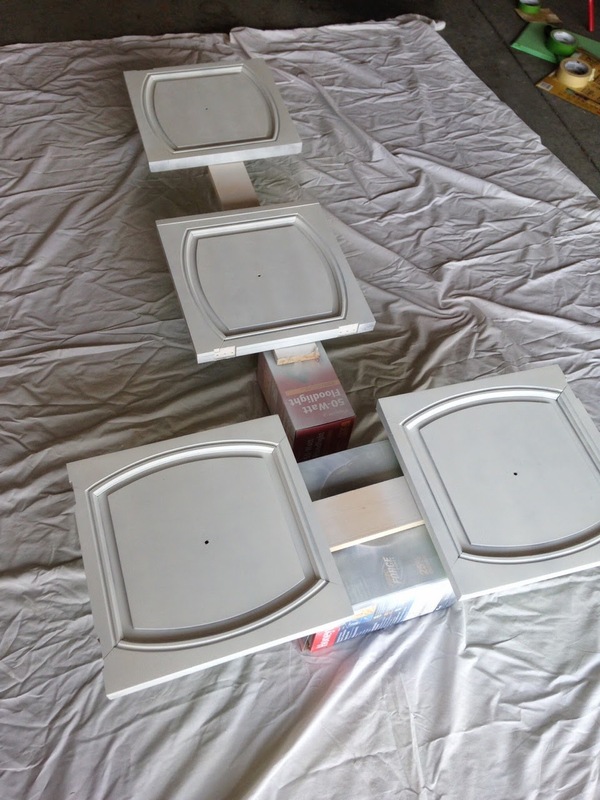 Once the doors were primed, I wanted to try the spray paint I had selected to see if it would match our dining room table. So the spray paint idea didn't seem like it was going to pan out for me. So I figured I'd need to buy a gallon of primer and a gallon of paint and roll/brush it on instead. 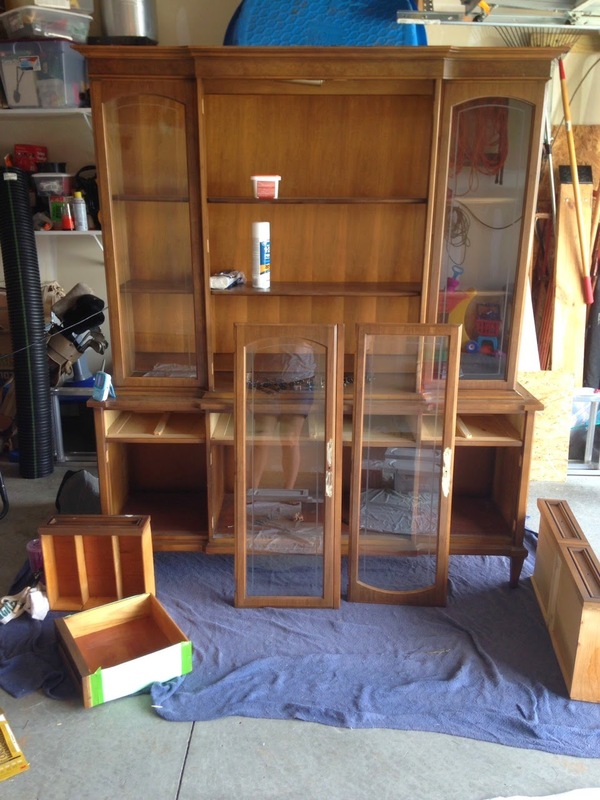 I really wanted the china cabinet to match our dining room table, so I removed the leaf from the table and hauled it to Lowe's to have them color match it for me. 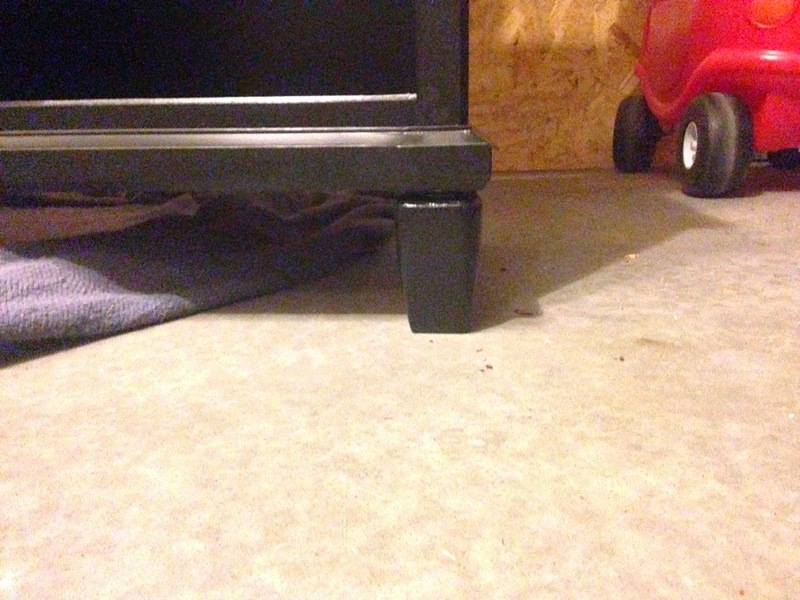 Oh, this is the table, btw. The color is called "Almost Black" and actually looks a lot more "brown" here than ours does. So after hauling the center table leaf and only 1 of my 3 babies with me to Lowe's, it turns out they didn't have a paint that could hold enough "color" to darken it to the necessary shade for my paint. Boo. So off to Home Depot we went, hoping for a better outcome! Home Depot saves the day! They were able to color match the leaf and provide me with a gallon of tinted paint as well as a gallon of tinted primer (just a dark gray instead of white). Hurray!! 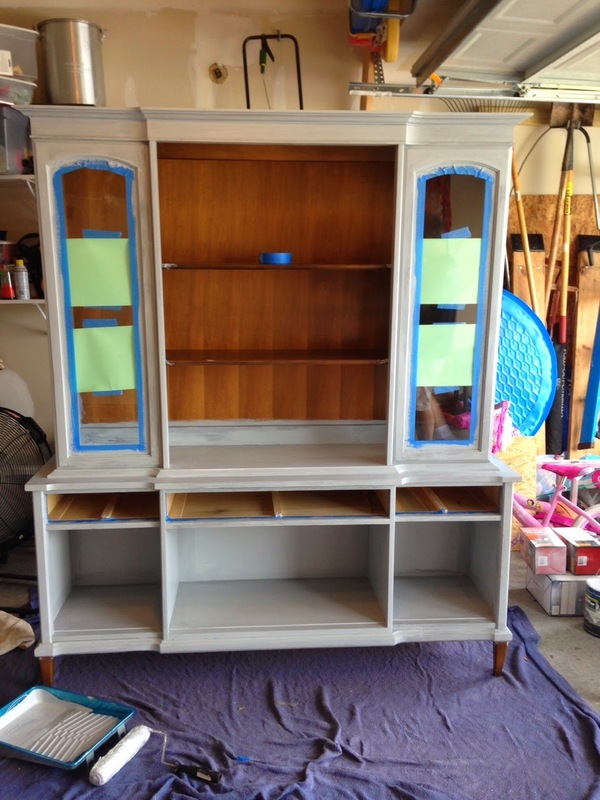 I was hoping to leave the back panel on because it had like 8,203 nails around the perimeter and across the two shelves, but it was just impossible to attempt to paint the inside of the cabinet. It had to go! 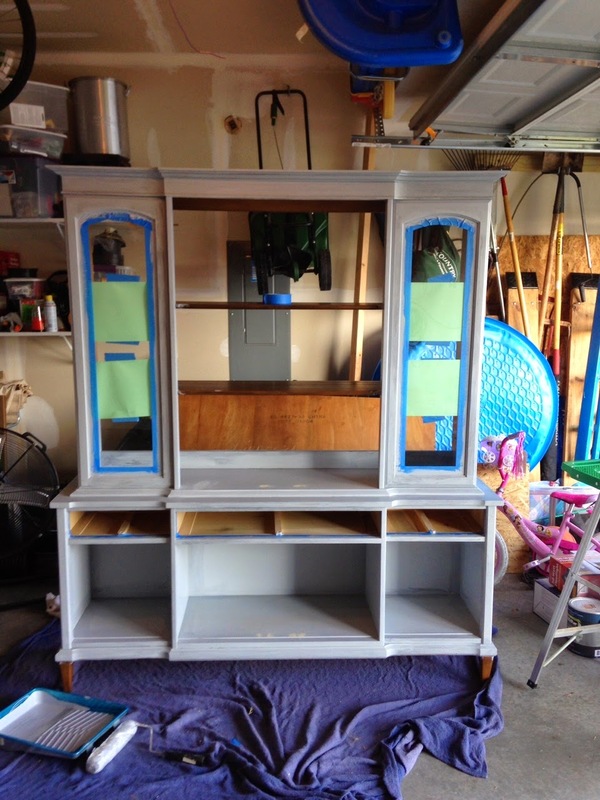 I rolled the primer on the entire china cabinet, drawer fronts and cabinet doors. Then it was time to roll on my paint! That was the point that this project really took a turn in a really wonderful direction! It was really coming along nicely, but I was really concerned about the original legs (feet?) on the china cabinet. First of all, I didn't like the look. 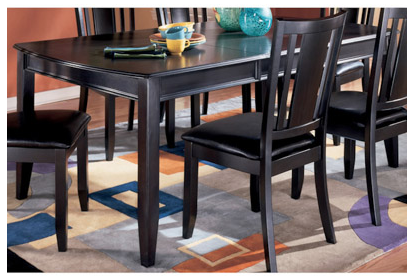 I wanted something that would match the more contemporary look of our dining table. Secondly, it seemed like they would snap in a heartbeat! Even with the little bit we had moved it, I was just really worried with the lack of support the original ones had. See? So we went ahead and switched them out for these babies, which I love SO much! Once the painting was complete, I applied 2 (maybe 3?) 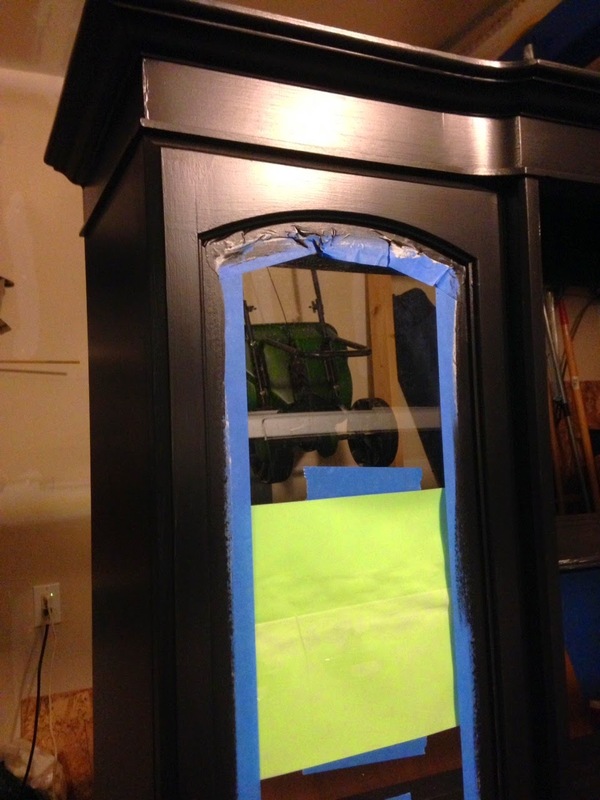 thin coats of Polycrylic protective finish over the entire china cabinet, doors, and drawer fronts. I let it sit for a day or two to cure. 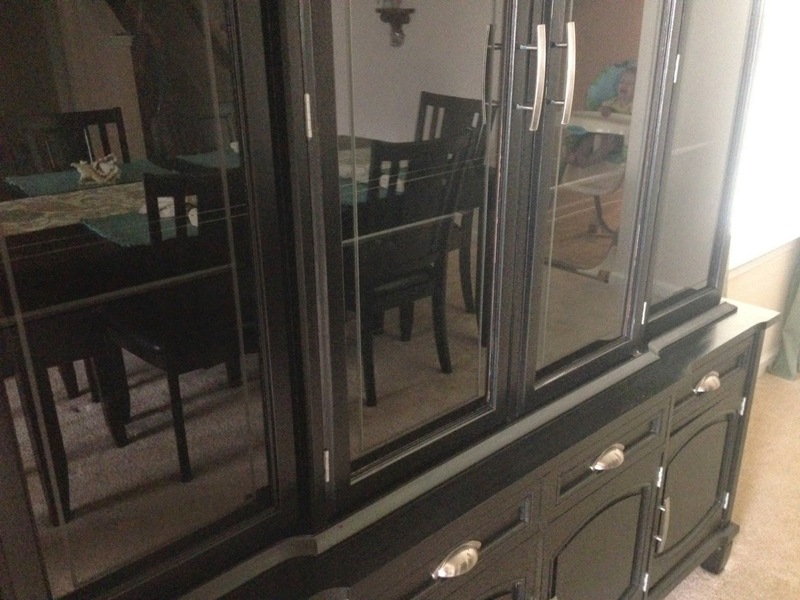 On July 2, about 3 1/2 weeks after I started this project, we were finally able to move it inside into our dining room to complete the finishing touches! Yay!! 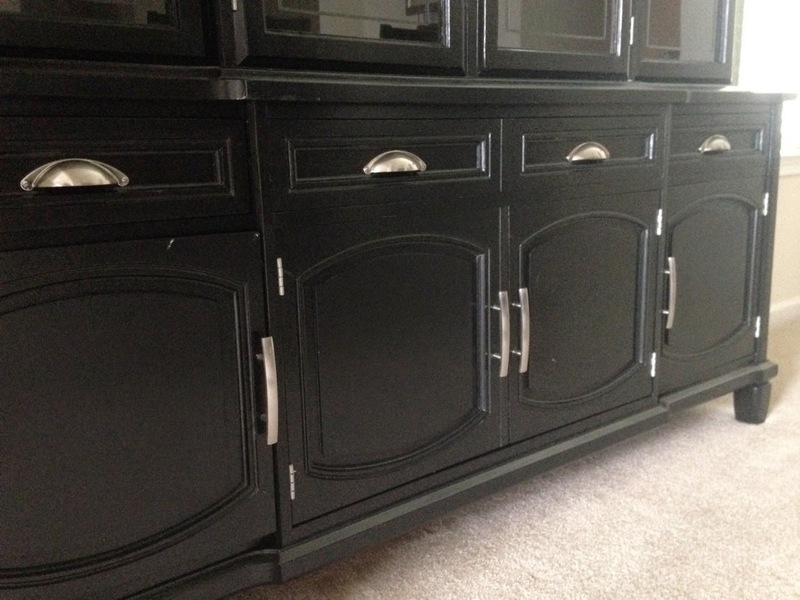 I reused the original hinges (cleaned and painted them to match), so we added those along with the cabinet hardware and then put on the doors and added the drawers! I am SO SO SO in love with this new addition to our family! 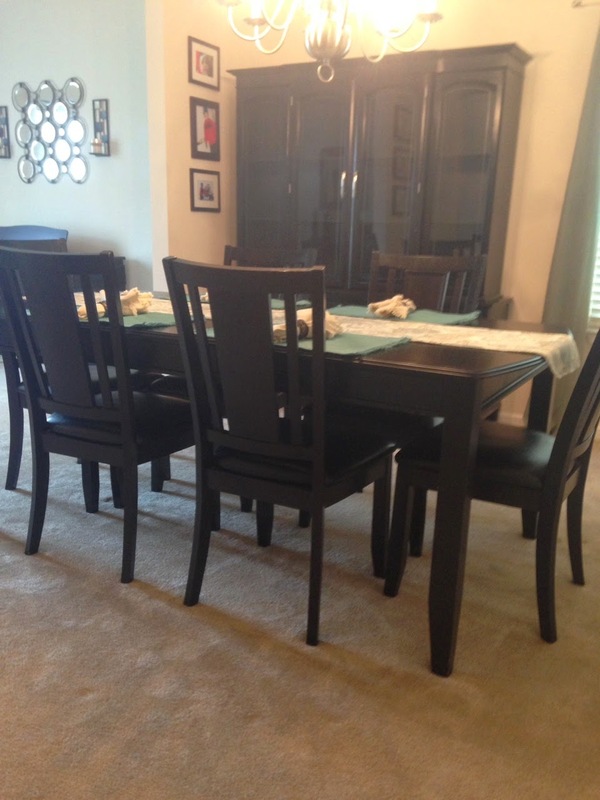 It looks so perfect in our dining room and I think it matches our table perfectly! I love the hardware, too! So gorge! Here's a close-up of the new hardware! 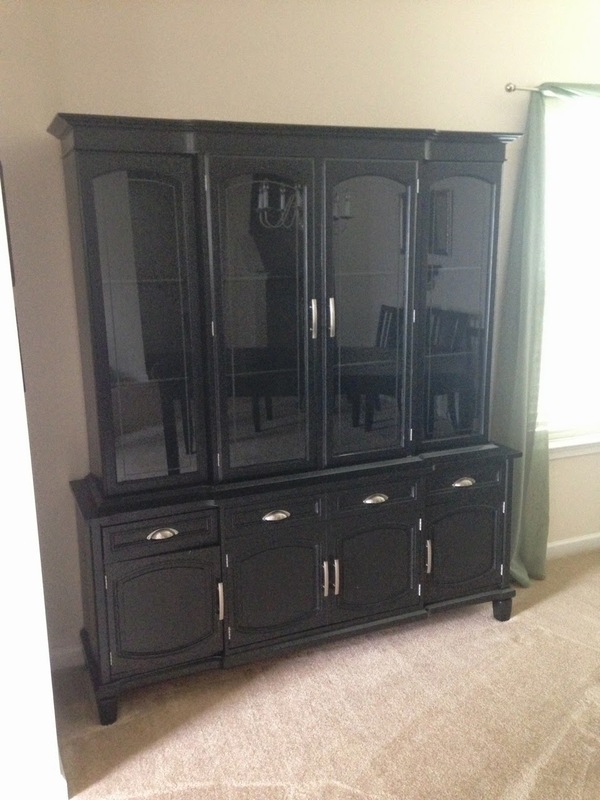 For comparison purposes, I found a new china cabinet online that I liked for about $1,600, so that's sort of a savings of over $1,300! Totally worth it! Plus, now it has some sentimental value to me since I worked so hard on it for so many hours, and because it gave me something to focus my energy on while dealing with a few of life difficulties during that time. 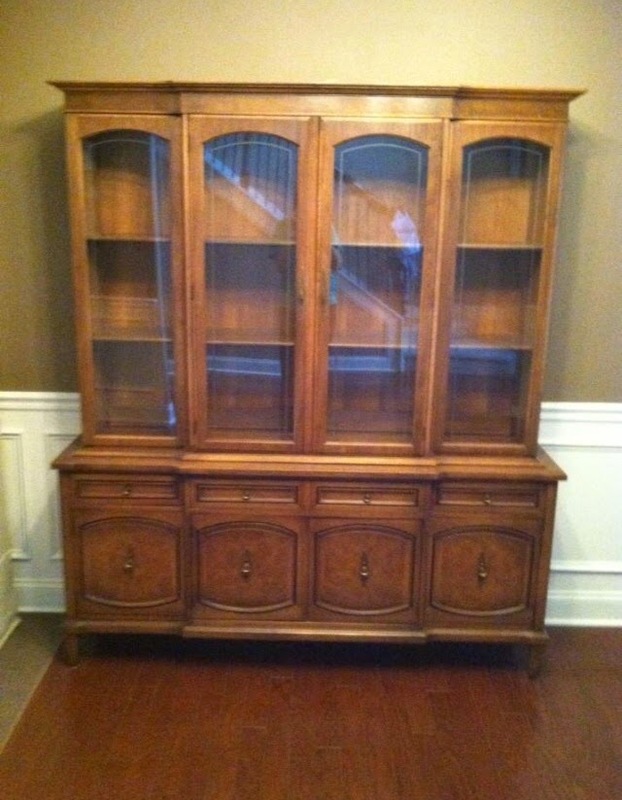 Now to bust out the BOXES of china that hubs and I each inherited from our parents and put this bad boy to use! I'm just so stinkin' happy with how this turned out. It was a LOT LOT LOT of work -- literally hours in the hot garage while the kids played out front and rode bikes and poor E was stuck in a jumperoo next to me -- but I'm so glad it's done and honestly, it looks better than I ever could have imagined! You did an incredible job on this! I have found I usually lokeHome Depot's paint department better than Lowe's ( and I have seen a lot of both in the last year). They just seem to be more willing to offer advice and try to find a way to solve your problem. Now, what is the next project? ?